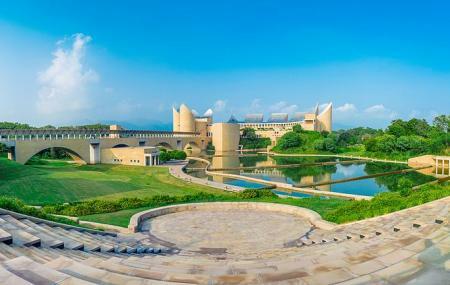 A grand museum dedicated to Sikhism, Virasat E Khalsa stands tall as one of the best structures in Punjab. It is equipped with not only galleries, but also an auditorium and a research and reference library. Divided into various parts, the museum preserves and depicts five hundred years of Sikh history, and celebrates 300th anniversary of the birth of “Khalsa”. The two complexes display a different set of exhibits each. While the western one houses the auditorium and libraries, the eastern complex is filled with the rich Sikh history. Architecture, families, spiritual progress and development of the state is engrossing. A total of five galleries reflect the “Five Virtues” of Sikhism. Personalize your visit to the city by chalking out a plan using Anandpur Sahib trip planner. Your worry of where to stay in Anandpur Sahib is sufficed by bunch of interesting and comfortable lodging options in the Anandpur Sahib like Hotel Grover Regency, New Park Plaza, Hotel Simran and Hotel White City. Find out how to reach Anandpur Sahib to begin with. Plenty of wholesome Anandpur Sahib vacation packages are available to choose from, pick your today! Love this? Explore the entire list of places to visit in Anandpur Sahib before you plan your trip. Fancy a good night's sleep after a tiring day? Check out where to stay in Anandpur Sahib and book an accommodation of your choice. How popular is Virasat E Khalsa? People normally club together Ropar Wetland and Virasat E Khalsa while planning their visit to Virasat E Khalsa. As told by guards that taking photos is not allowed is totally acceptable. As one has to visit to see the inside manuscripts and other art work it worth seeing it. time required to see all the art is about 4-5 hour, anyhow i have seen some people that they were able to finish it in just 1 hour also, that is not advisable. 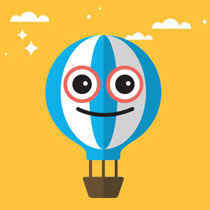 you will experience time passing from our ancestors to modern era. ticket are free, for that one has to wait. paid tickets are there 100 rupee per person you dont have to wait for.the same. The place is so beautiful and neat. It has all the information regarding punjab and its culture. This museum is perfectly built. You cannot use cameras inside it as clicking pictures are banned. But the people who work here are not at all cooperative and polite. They were hostile in nature. That's why I have given it only 3 stars. Otherwise, the place is very good. It was a really great experience, they have spent a lot on detailing and for visitors experience from the point you enter till you exit. It's worth a visit and even revisits. You can't takes photos inside the main museum, that's a bummer. Well planned and well maintained. There is free as well as paid entrance to Virasat-e-Khalsa. Since there is a long queue to take free tickets, visitors who are in a hurry to visit it opt to go for paid entrance. The paid entrance is priced at INR 100 per adult. Monday KO aajuba open hora h Kay??? Virasat E Khalsa is closed on Mondays. On other days, Virasat E Khalsa opening timings are 8 AM to 8 PM.